Schererville is a great city to live in throughout the year thanks to our front-row seat to every major twist and turn of the season. However, from June to August there is only one thing that is consistent: the heat. With average temperatures sitting in the mid-80s, it can be tough to thrive without the comfort of an air conditioner in your home. Unfortunately, some summers your air conditioning unit isn’t going to cooperate and when that happens you’ll need the best air conditioning contractor team in Schererville on your side. Here are a few reasons to turn to Cliff’s Heating & Air in your times of need. History of Success – We’ve been in business since 1979 and our customers keep us going. Affordable Rates – Financing options are available on approved credit with a new system install. Professional Staff – We have ten employees and a fleet of trucks ready to dispatch at your need. If you find yourself suddenly in need of an emergency air conditioning repair, you are in luck! At Cliff’s Heating & Air, our certified technicians are trained to help you with any problems that you run into. We offer a variety of important services that you can find listed below. Let go of your stress and let us handle the rest. There will come a time when your air conditioning unit stops working. Whether you are installing a new AC unit in your home or replacing an outdated model, our team of certified technicians can be of help. We service both residential and commercial properties and offer free in-home estimates for all new installations. Our family owned and operated business knows that sometimes a simple maintenance service call can fix what would otherwise be a costly problem. Getting into the habit of hiring out an AC service for routine maintenance can lead to improved efficiency for your air conditioner and a reduction in your utility bills. 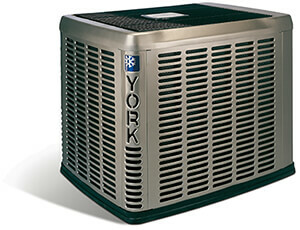 With summer rapidly approaching, don’t let your air conditioner be left behind. 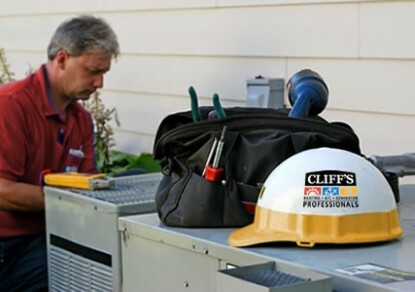 Call Cliff’s Heating & Air today in order to set up a service call for all of your maintenance, installation, and air conditioning repair needs.